The disclosure of Greek banks’ first-quarter (Q1) results revealed some encouraging trends regarding their core operating profitability and asset quality evolution. Bottom-line results were also enhanced with two banks, NBG and Eurobank posting net profit of 87 and 60 million euros respectively, while Alpha and Piraeus recorded relatively modest net losses of 2 and 37 million respectively. The first positive development relates to a further quarter on quarter (QoQ) improvement in their net interest income (NII) by 1.3 percent in Q1 after a rise by 0.9 percent QoQ in Q4 2015. This largely stems from a further reduction in their reliance on the Emergency Liquidity Assistance (ELA) funding by 2.7 billion euros QoQ coupled with lower time deposit cost, which more than offset the reduced loan NII mainly reflecting the ongoing deleveraging. These trends are broadly expected to be maintained in the next few quarters largely on the back of the anticipated reinstatement of the waiver on Greek government securities, participation in the ECB’s second series of targeted longer-term refinancing operations (TLTRO-II) and repricing of time deposits at lower levels. As we have previously argued, the reintroduction of waiver would mean that 5.1 billion euros of liquidity withdrawn via ELA would be replaced by cheaper ECB funding. 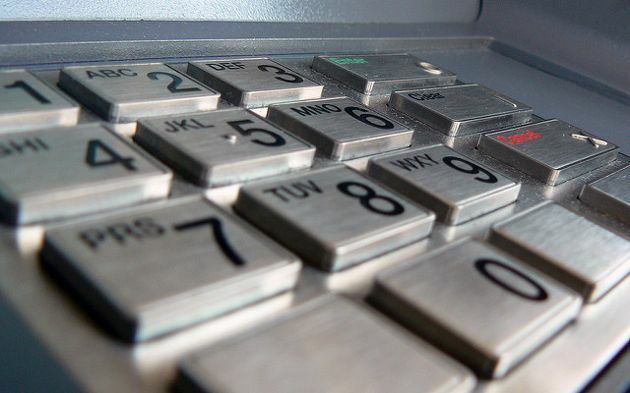 This would have a positive impact on banks’ NII of 76 million on an annual basis. In addition, a potentially lower haircut on Greek banks’ collateral could further improve NII to a total (waiver and haircut) benefit of around 100 million euros per annum. Our analysis shows that under a best-case scenario, assuming that Greek banks participate at their total capacity on 32.5 billion euros in the TLTRO-II operation, they would have access to liquidity at a cost of -40 bps versus zero cost for EVB funding entailing a positive impact of 130 million on their NII on an annual basis. 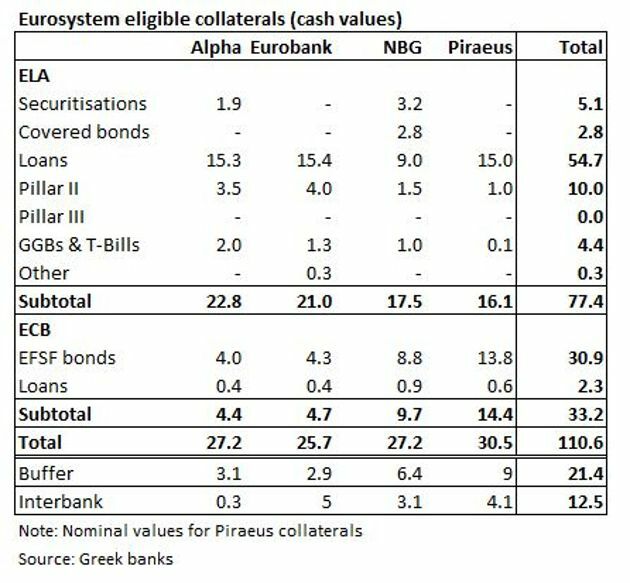 Greek banks also reduced the pledged pillar II bonds by 5.4 billion euros in the course of Q1 to 10 billion, which also entails lower fee expense since banks pay a fee of 115 basis points (bps) to the state on the nominal value of the pledged pillar II bonds. Banks aim to further reduce their pillar II bonds in the coming quarters, with Piraeus having already eliminated its exposure at the end of April. Based on figures provided by banks, their Eurosystem eligible collateral pool has been trimmed by 7 billion euros QoQ to 110.6 billion, while their liquidity buffer has been reduced accordingly by 6.3 billion to 21.4 billion. At the same time, their interbank repos have increased to 12.5 billion from 8.2 billion three months ago. On top of core revenues, the other factor with a positive contribution in banks’ operating profitability relates to the anticipated lower personnel expenses resulting from the implementation of further voluntary retirement programmes. On the asset quality front, the non-performing loan (NPL) formation significantly slowed down for the second straight quarter to 199 million in Q1 from 615 million in Q4 and 1.48 billion in Q3. It is worth noting that Piraeus recorded a negative formation in Q1 for the first time since 2008, while Alpha and NBG attributed their increased formation to specific corporate cases. Overall, the household lending sector recorded better loan quality trends in Q1 compared to those of corporate and small business loans. At the end of March, the four core banks’ NPL stock eased to 84.7 billion euros from 85.1 billion in Q4, corresponding to 35.3 percent of their gross loans. The cash coverage ratio stood at 68.3 percent. However, their NPE stock increased by 1.8 billion euros QoQ to 117.6 billion in Q1, corresponding to almost 51 percent of their gross loans. The respective cash coverage stood at 49.2 percent from 50 percent in Q4. Most banks aim to reduce both their NPL and NPE stocks by December to lower than end-2015 levels. The improving asset quality trends led banks to sharply reduce their impairment losses by 71.2 percent to 878 million in Q1 from the exceptionally high level of 3.05 billion euros in the previous quarter, which also incorporated one-off items. 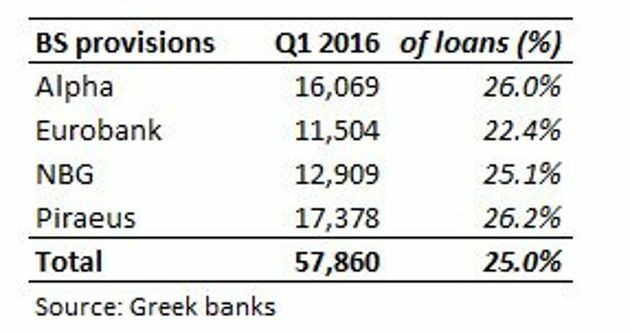 As a result, their cumulative loan loss reserves (LLR) reached 57.9 billion euros in Q1 corresponding to 25 percent of their gross loans. In its credit outlook released on June 9, Moody’s said that Greek banks’ slowing NPL formation in credit positive, while noted that the decrease in loan provisions will help banks return to profitability after many quarters of losses. Banks remain well capitalised with the phased-in and the fully-loaded Common Equity Tier 1 ratio above the 17-percent and the 16-percent mark for three of the four banks respectively. At the end of March, the tangible equity (TE) of the four core banks amounted to 28.33 billion euros, while their current market value stands at 9.46 billion, implying they are trading at one-third of their TE. At the same time, they hold a total amount of deferred tax asset (DTA) of 19.48 billion euros, making up 69 percent of TE. Alpha has the lowest contribution (52 percent) of DTA to TE with Eurobank at the high end at 91 percent. Alpha has by far the highest TE of 8.51 billion as well as the highest market cap of 3.32 billion (third highest in the Greek stock market), while its P/TE ratio of 0.39x implies it is trading at a premium to its domestic peers. Piraeus is ranked second with a TE of 7.53 billion, while is trading at a discount to the other three banks with its P/TE ratio at 0.27x. NBG has the third highest TE and the second market capitalisation with its P/TE ratio at 0.33x, while Eurobank TE of 5.34 billion and market cap of 1.86 billion stands at the low end, while is trading at 0.35x its TE. 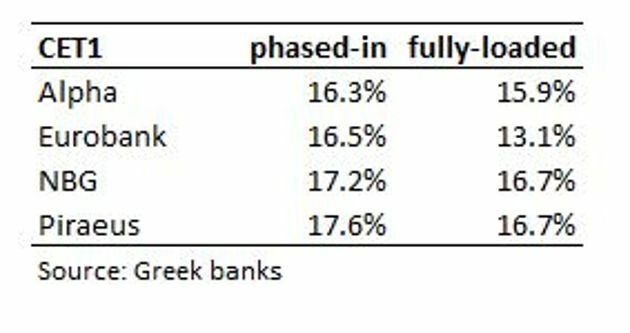 Summing up, a significant improvement in NII and sharply reduced loan provisions are the key drivers for Greek banks’ target for return to profitability this year. In addition, upcoming ECB decisions are also due to improve their liquidity profile and restore some of the lost confidence in the sector. Despite the encouraging trends in NPL formation in the last two quarters, the biggest challenge remains the effective management and reduction of their huge NPL stock, which is eroding their balance sheets and prevents credit expansion, at least in the short-term.